Imagine having a baby in the middle of a famine. Now imagine having triplets in that same situation. A year ago, our partners in Malawi, Iris Africa, told us about a set of triplets who were born into that scenario. And we have good news to share! A year ago I wrote about a set of triplets who were born in the midst of famine and hunger. Their father was already struggling to find food for his four older children when the triplets arrived. He came to me with their three tiny hats and their medical books as proof, and we were able to help with some baby formula to help them get through the nights and some MannaPack to support the mother’s health. Since then we have come to know this amazing family. The father always comes with a gift, some maize from his garden or some leafy greens. He is a hard worker who firmly believes in giving his first fruits to those in need. 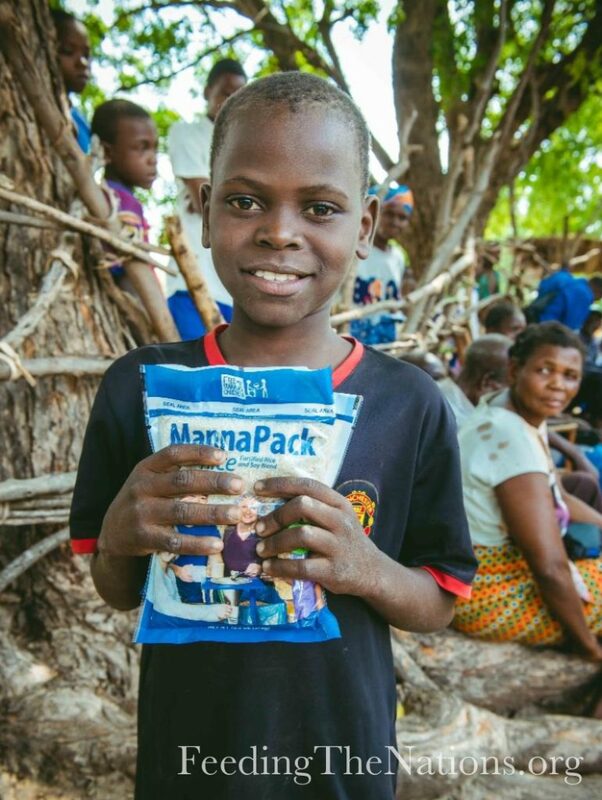 We have been able to support them regularly by providing MannaPack meals. While there have been plenty of struggles, all three triplets have survived. Surviving is different from thriving. Sadly, many children in our region barely survive which means that their bodies are alive, but there are lots of physical losses which cannot be recovered. Children in our region often have very weak teeth for instance. Mental growth is delayed causing problems with memory and learning. Eye and skin infections are very common. This is partly caused by insufficient nutrients at an early age. We are so thankful to be able to support families such as the Dunkalo’s with their 7 children. They work hard in the garden and only come when every other plan has failed. On our last visit, it was good to see the children smiling and interacting with each other. There is real love in this family, and though the kids are dressed in rags, they know they are loved. Love and food go a long way to move a child from surviving to thriving. Please continue to send this incredible life line which deeply impacts the lives of children here in southern Malawi. 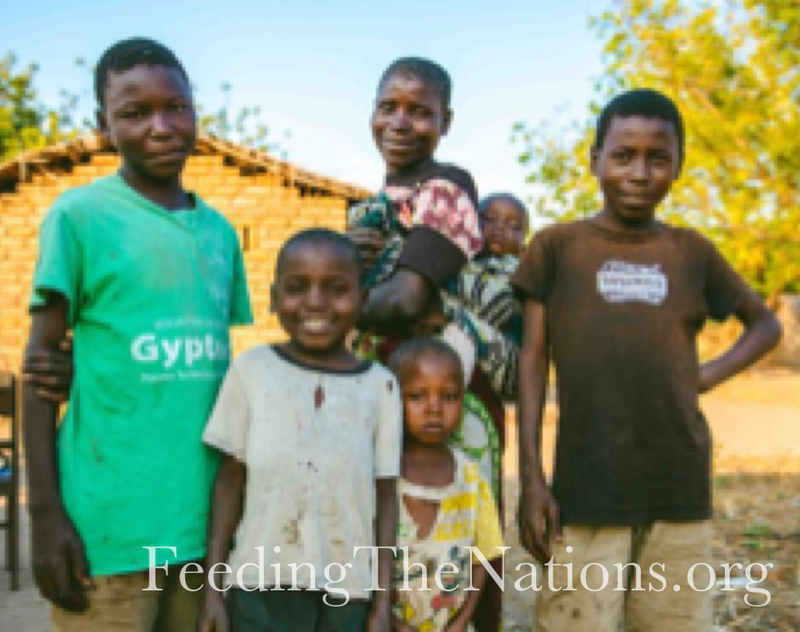 Feeding nations of hungry people wouldn’t be possible without partnerships. 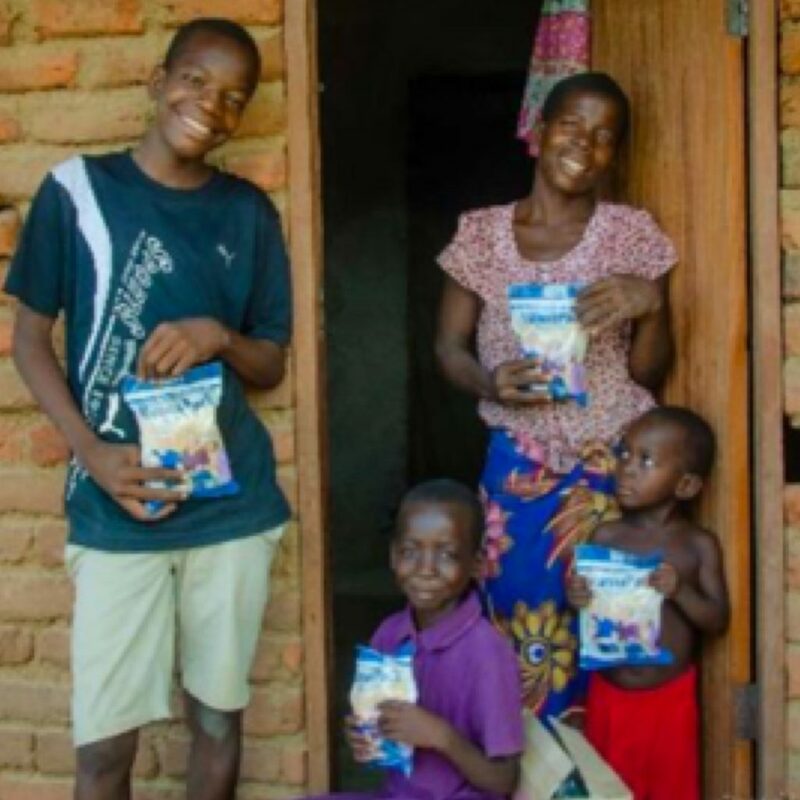 For years now, we have had the honor of partnering with Iris Africa, located in Bangula in the most southern district of Malawi. Southern Malawi experiences regular crop failure due to extreme high temperatures, sporadic rains, and at times seasonal flooding due to rain run-off from higher elevations. Food security is a constant issue among the people of the Nsanje District. Most people are subsistence farmers and live off a dollar a day. Malaria is prevalent year-round. Each month, Iris Africa distributes food that we send. Those receiving the food include the elderly, people sick with HIV/AIDs, widows, orphans, the blind and disabled. The majority of these households include grandmothers who are caring for their orphaned grandchildren. Iris Africa continually evaluates beneficiaries to ensure that they qualify for this program. At the same time, training programs are offered in areas such as farming, healthy living and life skills to help people move out of poverty and into a more sustainable future. 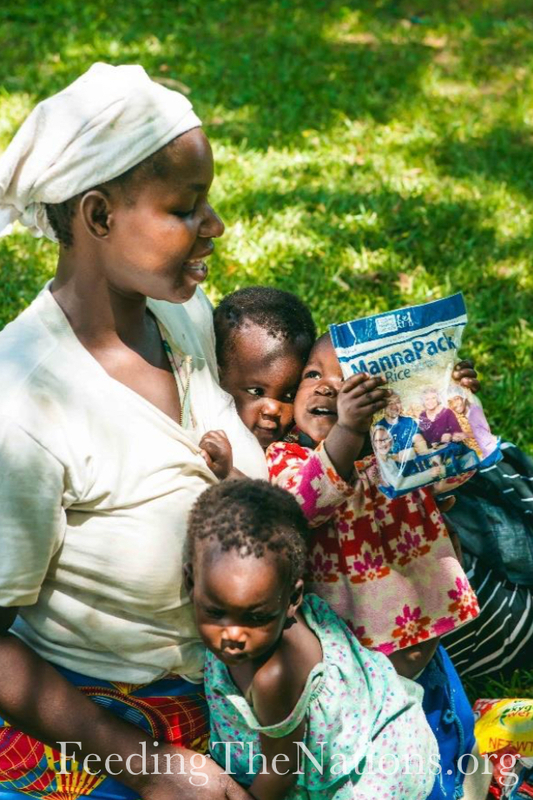 Thank you for sending the containers of MannaPack meals! The Lord has positioned us in the southern district of Malawi to care for the vulnerable poor. 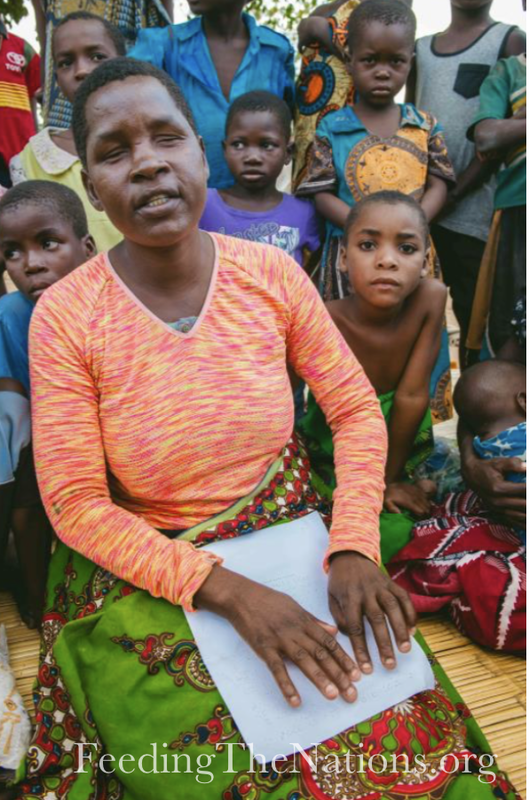 The food security situation has improved thanks to last year’s harvest, but many children still suffer with hunger here in Malawi, one of the poorest countries in the world. 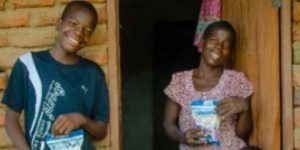 Life continues to be a struggle for elderly widows caring for their orphaned grandchildren, the blind, the lame, single parent families, and the sick. Iris Africa has the privilege of serving these precious people, and extending the grace of our Lord Jesus to them. This task is overwhelming at times, but we continue to do what we know, following the example of Jesus to love the one in front of us. 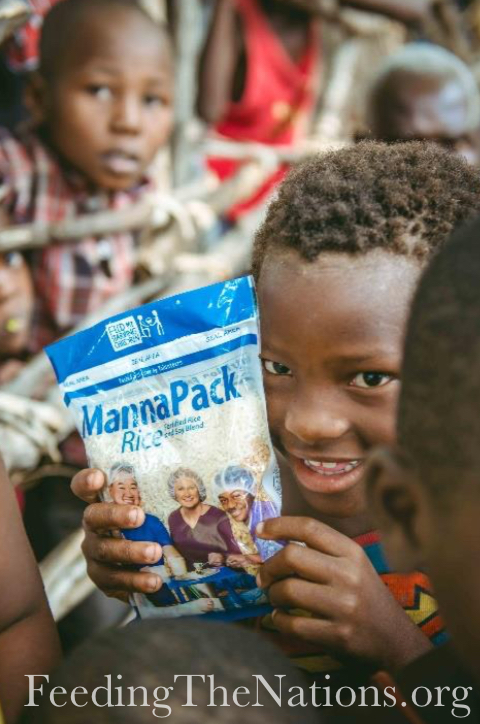 Thank you very much for providing MannaPack fortified rice-soy meals for the people of Malawi. You have trusted us with the opportunity to bless the poor. By working together, we can make a difference, one child at a time. 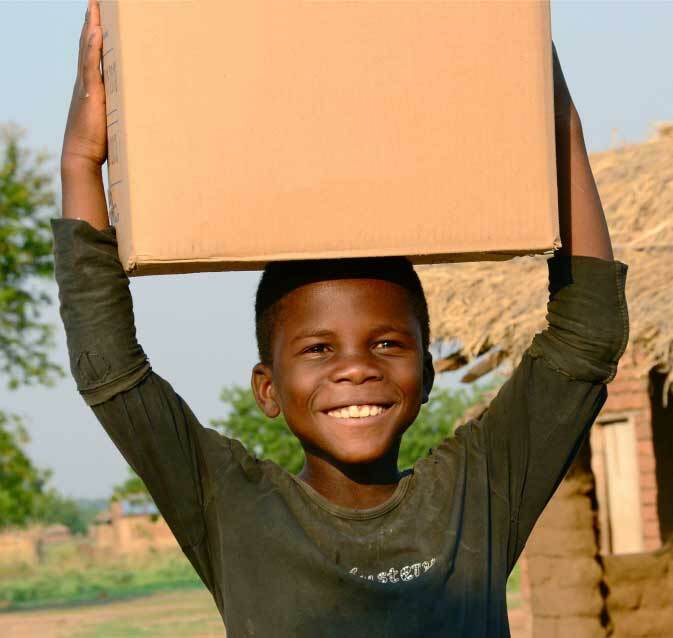 Thank you for helping us send food to our partners like Iris Africa. But let’s do more. 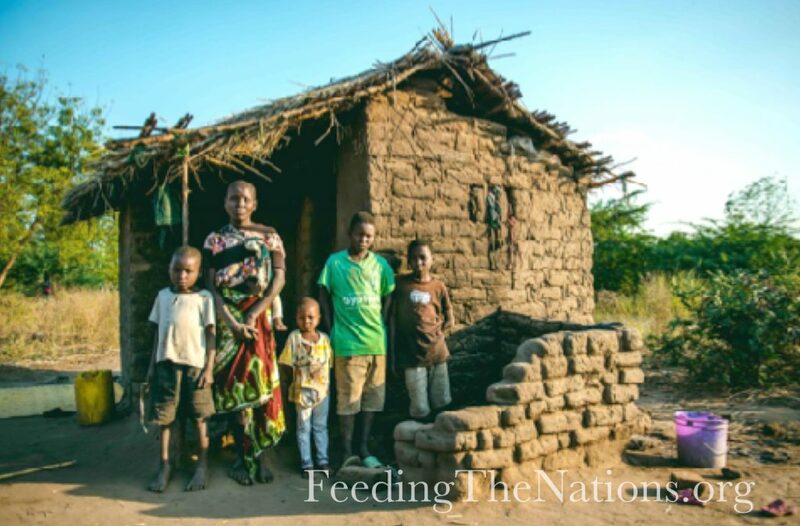 Click the donate button below and together we can feed more families like the Dunkalo’s. 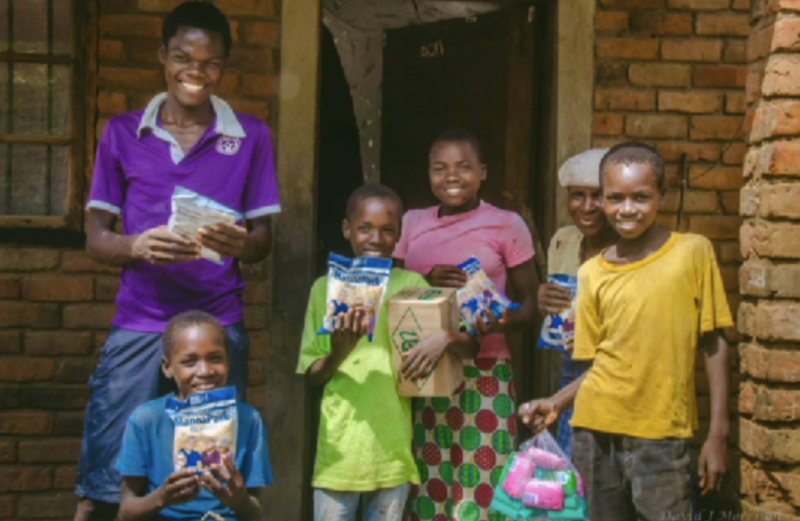 For years now, we have been committed to sending food and hope to vulnerable children in Malawi. We have had the honor of partnering with Iris Africa who has been our hands and feet on the ground, distributing the food to those in need. Each month, food is given to vulnerable households, schools and children’s homes. It helps sustain orphans and the elderly. It gives hope to caretakers who struggle to fill hungry bellies because of poverty and poor weather conditions. According to a recent report from Iris Africa, this food feeds families likes Alice’s. 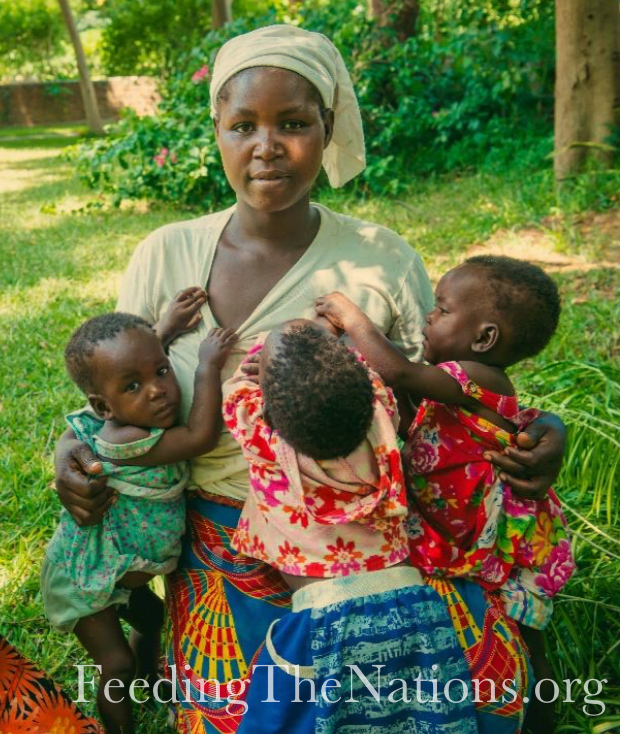 Alice is the single mother of three young children, and she is also the caregiver for her four orphaned brothers. As the eldest in the family when her parents died, Alice was expected to take her brothers in. She lives in the village of Bangula in a house Iris ministries helped her build. She works hard, but just can’t produce enough food or income for the family to live without assistance. 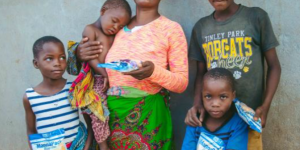 All of her children attend the local Bangula Primary School which is a great accomplishment. We want those children to remain in school but many in their situation stop attending school to help with farming. Alice has a large plot of land where she grows maize and millet. This year’s rainy season started out well; seeds germinated and fields are looking good, but the environment here in southern Malawi is harsh. Every year Alice hopes that she’s going to have a large harvest, but the area is prone to periods of drought during significant growing periods. She can’t remember the last time there was a favorable season for farming. Yet, she tries again, and again, producing a small amount each year. 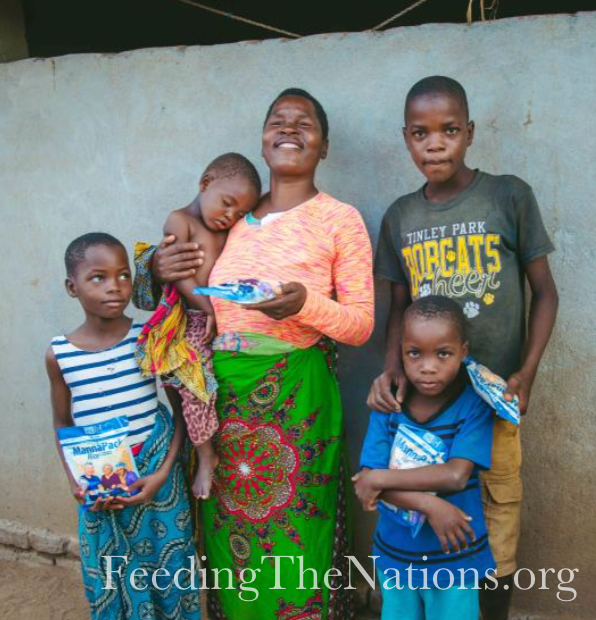 Alice is grateful for the rice/soy meals that provide her family with good nutrition, especially at this time of the year, during the growing season, when last year’s harvest has already been consumed. The assistance is enough to keep her children and brothers attending school and she is hopeful that one day, their perseverance will pay off. Thank you to everyone who partnered with us to make missions like these possible. Will you join with us in feeding more people in need? Will you help more families like Alice’s? You have the ability to love and offer hope to someone you may never meet on this side of heaven. Through strategic partnerships, we are doing just that. 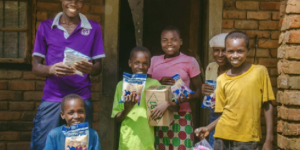 We have had the privilege of partnering with Iris Africa who currently has 1,200 vulnerable households registered for their Iris Africa Feeding Program in Malawi. Each month, they distribute food to help these families survive. These households include the elderly, people sick with HIV/AIDs, widows, orphans, the blind and disabled. The majority of these households include grandmothers who are caring for their orphaned grandchildren. 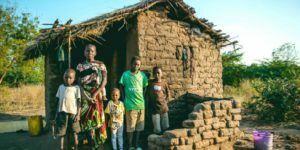 Joyce and her five children share a small mud-brick and grass-roofed house in the southern Malawi village of Tengani. We heard about this family’s desperate situation from a concerned neighbor. After the death of Joyce’s husband, life became intolerable. Now they are alone, and desperately poor. Their possessions are few. They have a bucket, a small cooking pot, a mat to sleep on, and the clothes they wear. They survive from the money Joyce is able to earn by tending other people’s gardens. The little she earns buys a basin of maize, enough to eat once a day. The children skip school so they can cultivate the family garden where they grow sweet potatoes. They also collect firewood and sell small bundles at the market. They would like to go to school but they don’t have the time or the money for uniforms. We immediately provided this family with fortified rice-soy meals and will be establishing an action plan to help lead this family out of crisis. Thank you to everyone who helps make missions like these possible. Let’s do more. Donate today, so we can feed more families like Joyce’s.